Donald P. Sauberan, M.D. specializes in pediatric ophthalmology and adult strabismus. He received his medical degree from the Medical College of Wisconsin. He served in the United States Air Force as a General Medical Officer at Davis-Monthan AFB in Tucson, AZ. He then completed his Ophthalmology residency at San Antonio Uniformed Services Health Education Consortium in San Antonio, TX. He then served as a general ophthalmologist at Offutt Air Force Base in Bellevue, Nebraska. After his military service, he completed his Pediatric Ophthalmology Fellowship at Children’s Mercy Hospitals & Clinics in Kansas City, Missouri. Dr. Sauberan has clinics in Lincoln, Columbus and Kearney, Nebraska. 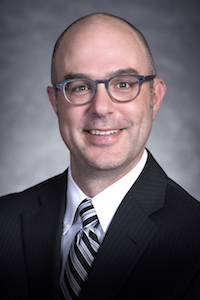 Dr. Sauberan is board certified and a member of the American Board of Ophthalmology, American Academy of Ophthalmology, American Association for Pediatric Ophthalmology & Strabismus, Nebraska Medical Association, Lancaster County Medical Society, and the Nebraska Academy of Eye Physicians & Surgeons. He is also a Specialty Fellow of the American Academy of Pediatrics in the Section on Ophthalmology. Dr. Sauberan is also a member of the Pediatric Eye Disease Investigator Group (PEDIG), a group of academic and private practice ophthalmologists who conduct research on pediatric eye disorders. Dr. Sauberan enjoys geocaching with his family and following Green Bay Packers football. He resides in Lincoln with his wife and four children.